Mat Manning wraps up against the cold and sets his sights on grey squirrels in winter woodland. Too many shooters shy away from shooting when the weather turns cold but they are missing out on some great sport. And it need not be uncomfortable – dress for the conditions, adopt the correct tactics and take the right gear, and sub-zero shooting sessions can be very enjoyable as well as productive. Read Hawke’s top tips for hunting in Winter. Most of my winter hunting revolves around the control of grey squirrels, which cause serious damage to woodland and have a major negative impact on indigenous British wildlife species. Forget the myths you hear about these rodents hibernating through periods of cold weather – they may hole-up in extreme weather but milder winters seldom impact them. In my experience, winter squirrel hunting is actually the best time to control populations; partly because they spend more time out foraging when daylight hours are limited and partly because it’s so much easier to spot them up in the treetops after the leaves have fallen. Wearing plenty of layers of warm clothing is essential if you’re going to stay comfortable during a winter foray, and hunting on the move is a very effective way of keeping your temperature up. Lightweight hardwear makes life a lot easier when you’re roving through the woods, so I often reach for my Air Arms S510 Superlite for this sort of assignment. Coupled with my Hawke Vantage 3-9×40 AO Mil Dot scope, it makes for a very manageable, and accurate, setup. Other important items of gear are a vacuum flask filled with steaming hot tea, plus a beanbag seat. This lightweight cushion clips to my backpack for easy carrying. Filled with soft foam balls, it makes for a comfortable seat and creates a warm, dry barrier between me and the ground when I need to sit down. It’s very handy if I spot a promising-looking area and decide to settle in for a stakeout, and also makes my tea breaks a lot more comfortable. 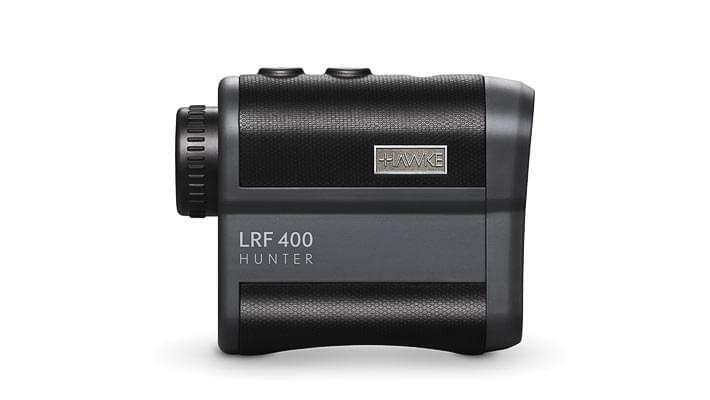 When I spot a squirrel up ahead, I usually stop and ping it, or the branch it’s sitting on, with my Hawke LRF Hunter 400 – a precise and lightweight laser rangefinder that’s perfect for stowing in your pocket when hunting on the move. Assuming that the squirrel is out of range, say 70m away, I’ll then try to pinpoint a shooting position about 45m from where I am. I then know that if I can creep to that position, I’ll have a straightforward 25m shot at my quarry without having to get the rangefinder out again. By engineering close shots like this, rather than stretching the range, opportunities are far more likely to result in clean kills rather than going to waste. Squirrels are surprisingly tough little animals and I prefer to take them with head shots. 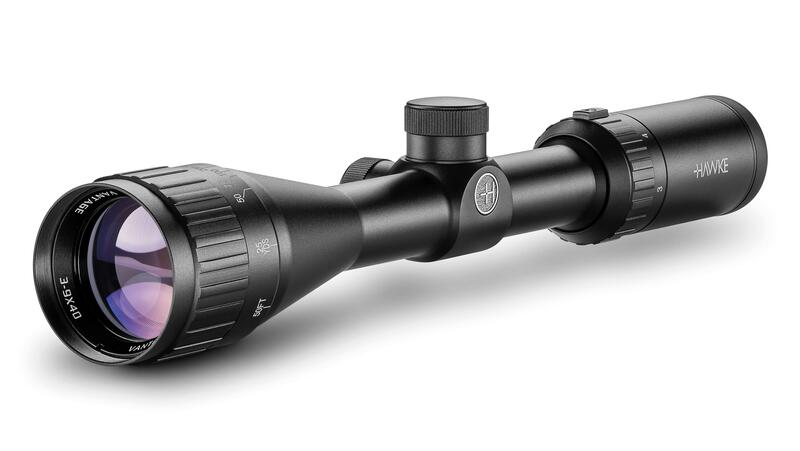 Having a Mil-Dot scope and a clear understanding of the pellet’s trajectory enables me to use hold-over and hold-under to keep shots dead on target but quality ammo also plays its part. It never fails to amaze me how many airgun shooters try to save a few pounds by compromising on pellets but it’s a false economy. Go for a proven brand that works well with you gun and put in plenty of practice. The last thing you want to do is miss shots because you’re using inconsistent ammo – especially on days when you’ve endured the cold to earn those shots. Get it right and winter is a wonderful time to be out with your air rifle. Not just because the countryside can be at its most beautiful at this time of year but also because there are great rewards to be had by hunters who are prepared to wrap up against the cold and put in the effort.